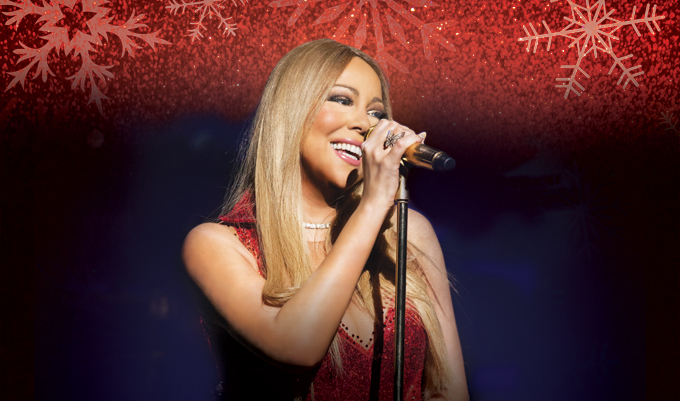 New York, NY — Multi-platinum superstar Mariah Carey has announced her return to New York's Beacon Theatre for her third annual All I Want For Christmas Is You concert series preesnted by Hallmark Channel. Celebrating her iconic Christmas catalogue, which includes 1994's Merry Christmas and 2010's Merry Christmas II You, Mariah will bring her powerhouse vocals and celebrated live show to fans on December 5, 7, 8, 13 & 14. Tickets go on sale to the public on Saturday, October 22 at 10am through ticketmaster.com, but fans have the opportunity to secure preferred tickets early through the official fan club presale! Honey B. Fly is the official Mariah Carey fan club. Mariah fans may purchase a Honey B. Fly Live Pass, which gives them preferred access to tickets, official VIP Packages and more. Fans who are already registered simply need to login and upgrade their account with the HBF Live Pass. Register now — the exclusive HBF presale closes on Friday, October 21 @ 10pm ET!